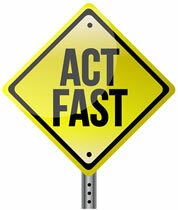 A few people around the world are advancing at hypnosis much faster and are achieving more with hypnosis than you are. They are leaving you behind – and the gap is forever widening. They are more in demand than you. They charge (and get) higher fees than you’ve ever been able to. And, they quickly become the hypnotist’s that other hypnotists look up to and want to be like. The longer you wait – the further ahead of you they get! That said, how are those top achieving hypnotists advancing so quickly and leaving others so far behind? Because it’s NOT that they’re any smarter than you. It’s NOT because they’re born with some kind of special “hypnosis gene” that you don’t possess. And it’s NOT necessarily even that they’ve been practicing hypnosis for longer than you. Feel in yourself that you are not making the huge strides in development that you should (by now) be making with hypnosis? There’s something you are missing. It’s something most (99%) of aspiring and practicing hypnotists are missing. And until you have this something you will never rise as fast or as far with hypnosis (or anything else in your life for that matter) as you are truly capable of achieving. So. What’s this thing that you are missing? Let’s say you and everyone else who gets interested in hypnosis are the same as a lump of gold buried in the ground. By learning about hypnosis and practicing hypnosis techniques you are, in effect, digging yourself up from the ground –you have “street value” just like dug up gold has “street value"
But, since you are still (metaphorically speaking) a misshapen piece of gold, your “street value” is nowhere near the value it could be if the gold was melted down, refined and purified then poured into a gold bar template. Same piece of gold; but the gold bar template turns that formerly misshapen gold into a much more valuable and refined piece of gold. They as people are just like you. But because they have discovered and are using the “mastery template” they, as hypnotists, are advancing so fast... they are leaving you in their exhaust fumes! It’s a case of bye-bye and see ya! Because unlike a gold bullion template (which is fixed in time and space)... the “mastery template” is a continuous process. Meaning: the longer you stay with the “mastery process” the better and better and better you keep on getting. Skids Off The Road Into A Ditch! That’s why even those lucky few people who start following it by chance – often jump right back out of the “master template” with no idea that they’ve just done so. All this is actually very good news for YOU. And it’s going to lead you to want to follow the “mastery template” very consciously and very deliberately. Because if you stay with me you are going to be handed the “mastery template.” You are also going to KNOW (consciously) when you are following the “mastery template” and, just as importantly, when you are not. And that means the speed, acceleration and rise of your development as a hypnotist will be off the charts compared to other hypnotists who have no idea the “mastery template” even exists. And if, by mistake or whatever, you do find yourself not sticking to the “mastery template” you will instantly know it. That means you will instantly know that you are hindering your hypnosis development and, wisely, you will get back on track with the “mastery template” again. It’s actually much more FUN and much more ENJOYABLE following the “mastery template” anyway. I mean everything is much more FUN and ENJOYABLE when things come much easier to you and you feel yourself developing and progressing all the time. It feels even better when you look around you and see other hypnotists (those not following the “mastery template”) struggling, getting frustrated and falling w-a-y behind you! 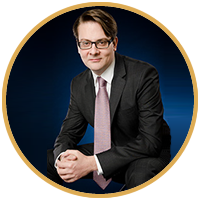 The “mastery template” really is the secret-key to becoming a super-achiever at hypnosis! I call these 4 keys: The 4 KEYS TO MASTERY. 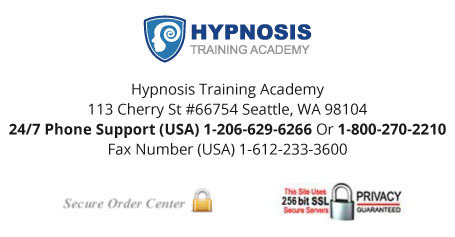 This training does NOT focus on individual hypnosis skills or techniques like most of my other trainings (although, yes, it will enable you to “squeeze” the maximum potential out of every technique you have or will ever will learn). It’s THE training to watch if you want to be able to zoom ahead of 99% of everybody else that’s practicing hypnosis. Once you have the “mastery template” (and you consciously know when you’re following it) you’ll be able to put yourself ahead of 99% of all the aspiring hypnotists out there. Many of them don’t even know about it themselves. Those trainers are either full of fake confidence in their abilities or, more likely, have unconsciously followed the “mastery template” in their own rise to the top. Likewise, it’s the 4 KEYS to the “mastery template” that has enabled me to achieve so much with hypnosis... put on umpteen live training seminars... and become arguably the best conversational hypnosis trainer in the world. Just wouldn’t have been possible. It wasn’t a hardship, either. I mean it hasn’t been like going on a strict diet, or adhering to a strict religious doctrine. Nor have there been big sacrifices in other areas of my life. I still get to pick and choose what I want to learn. And how I learn it. All that’s different (better) when I stay true to the 4 KEYS of the “mastery template” is that I develop my skills faster and advance further in my hypnosis abilities than I would otherwise. Likewise, you will still have complete freedom over what hypnosis skills your learn and practice – all that will be different (better) when you know about and follow the 4 KEYS to the “mastery template” is that you will develop your skills faster and advance further in your hypnosis abilities than you would otherwise. Anything that you have to apply yourself to in order to advance in your abilities will be helped immeasurably by the 4 KEYS of the “mastery template”. The 4 KEYS of the “mastery template” will propel you up the ladder in any area where you are in competition with others – sports, sales, work, you name it. The 4 KEYS of the “mastery template” will also give you greater satisfaction in anything you put your attention and interest on – hobbies, social skills, losing weight, every area of your life! It won’t just be you that benefits, either. For starters, everyone you impact in your hypnosis work (or any other aspect of your life you choose to apply the 4 KEYS of the “mastery template” to) will benefit. And secondly, if you have other people in your life (a spouse, a child, a coaching client) that you want to see excel in their chosen field or interests – then you can tell them about the 4 KEYS of the “mastery template” and, just like you, they’ll be off to the races, achieving results and levels of mastery they never have before. Not that it has to remain a secret, of course. Thing is – most people will not believe the difference the 4 KEYS of the “mastery template” make until they try it for themselves. And, frankly, nor will you. That’s because it’s like explaining a V8 engine to someone…it sounds, well, kind of boring if someone was to explain how it works in principle to you. But then you get behind the wheel of a car with a V8 engine and put your foot down and that’s when you go “Wow!" And that’s when you REALLY know the power of what you’ve got! Suddenly you FEEL the power underneath you throwing you forward. You do NEED to have the principles and examples of it in action explained to you – but then you need to make it work for you. 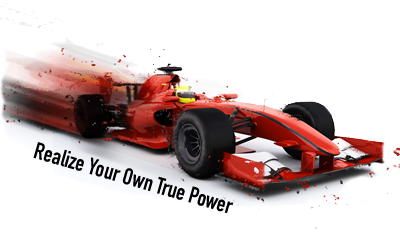 Only then will you FEEL the power of it “underneath you” throwing you forward in your hypnosis development and abilities. 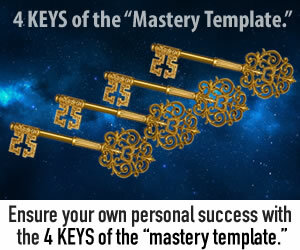 The first step, of course, is having the 4 KEYS of the “mastery template” explained to you. And hear examples of HOW it has been used by real people in real life. And that is exactly what “The Little Known Path To Mastering Hypnosis Revealed” training gives you. All the explanation. And plenty of examples of HOW real people have excelled because of the 4 KEYS of the “mastery template.” (You’ll even hear me explain my own personal motivation strategy – using the 4 KEYS – for my own hypnosis development). Now, you can access and view “The Little Known Path To Mastering Hypnosis Revealed” in just a few moments from now on your computer screen. You can watch it TODAY – and been on your accelerated path to mastery starting today. That said, should you access and view “The Little Known Path To Mastering Hypnosis Revealed training”? The truthful answer is: I don’t know. Personally, I have high standards and goals. For those reasons I just HAVE to know the 4 KEYS of the “mastery template” and I just HAVE to know when I’m on track with it (so I can feel good about it) or if I’ve inadvertently got off track (so I can immediately get myself back on track, and feel good about that). For me, it’s just obvious that I need the 4 KEYS of the “mastery template” working for me. I cannot imagine learning or practicing hypnosis (or anything else for that matter) without it. More than that, if I did not already know about the 4 KEYS of the “mastery template” and I was given the chance to find out about it all – like you are being given that chance here – and I didn’t take that chance, I would feel that I was not respecting or honoring myself. And, personally, I cannot live that way. Certainly not with something as dear to my heart as hypnosis. Hopefully you feel the same way. If so, I feel sure you’ll want to click the “Add To Cart" button below and follow the instructions to get INSTANT ACCESS to “The Little Known Path To Mastering Hypnosis Revealed” training. If you take action today you can access the full training of “The Little Known Path To Mastering Hypnosis Revealed” for the special introduction amount of $149 just $57. A small price to pay for getting the “template” for achieving mastery in ANY FIELD or INTEREST you have. Watch the online video training as many times as you like. And if you are not impressed with anything you see, just let either myself or my team know inside the 60-day guarantee period and you’ll get a prompt and full refund. No explaining to do on your part, either. 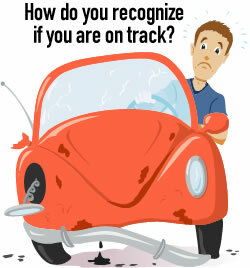 New Training - Get Started Today! 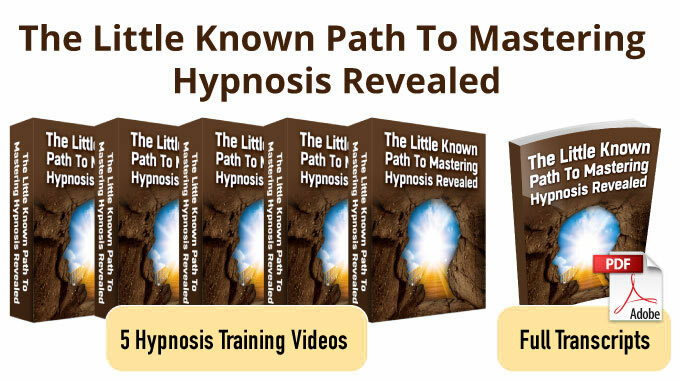 "The Little Known Path To Mastering Hypnosis Revealed"
I'm excited to get instant access to the 4 proven steps to hypnosis mastery so I can shortcut the process to becoming a true master hypnotist. Plus I'll also get FULL Transcripts of the videos as well. And I will also receive a 60 Day 100% Satisfaction Guarantee as well. If I'm not happy with these videos I can get a full refund. You’ve definitely made the wise choice by wanting to access and watch “The Little Known Path To Mastering Hypnosis Revealed.” See you 'on the inside' in just a few moments! P.S. 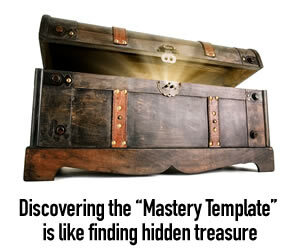 Want to know: who else used the 4 KEYS of the “mastery template” to phenomenal effect? Answer: The late Dr. Milton Erickson. Yep. But you know what? Because Erickson followed the 4 KEYS unconsciously (not aware that he was doing so) he was never able to properly pass on his methods to his students. You’ll hear me talk more about that in the online training itself.